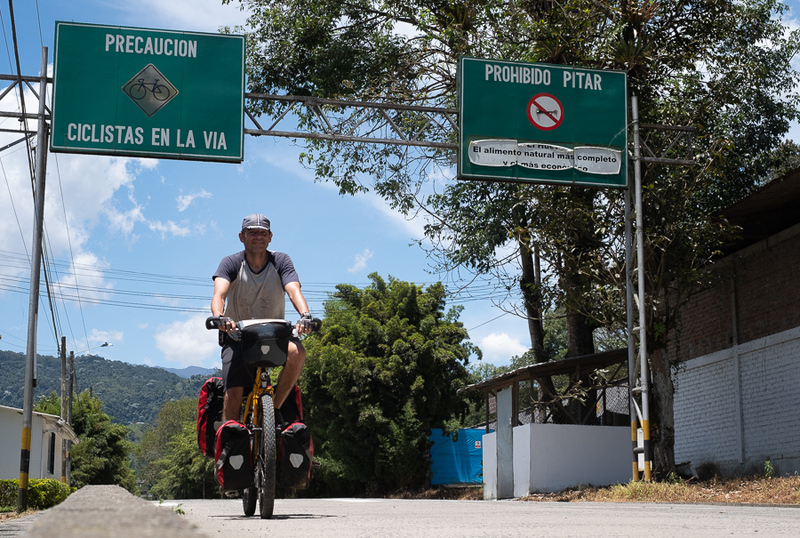 I've taken the plunge, and now 2 months into a leisurely solo tour of South America on my Nomad. She's proving more capable than I ever thought a bike could be. 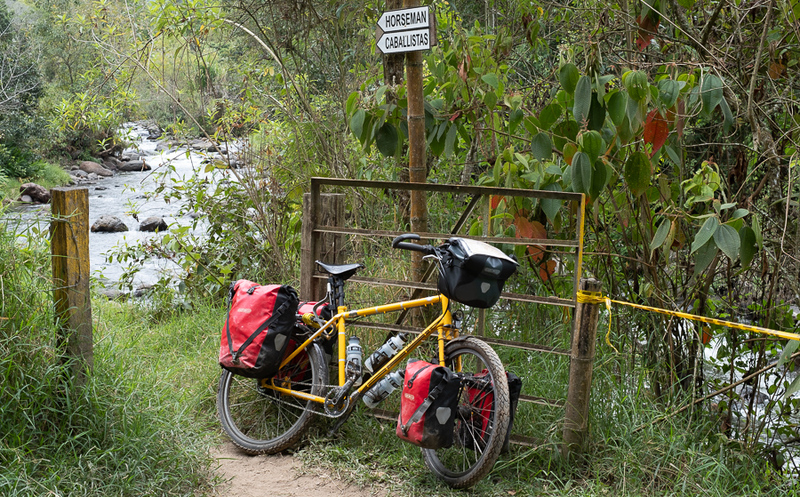 The first 2000kms from Medellin, Colombia to Cuenca, Ecuador have been absolutely brilliant. Especially after SJS came to the rescue and got me a new chainring out to Colombia when I realised my initial set-up was inadequate for my abilities compared to the weight and the hills! Plan is to finish in Buenos Aires. Sadly I'll need to bus through Peru in order to get to Patagonia in time for their summer. Hoping many miles and smiles still ahead. Awesome! Great pictures, great adventure! Wow, that's what a nomad is designed for! Yep, I feel your pain...so helpful to be able to dial in a smaller ring. Thanks everyone. I've seen a couple of people on the way, suffering with 'normal' bikes, so very glad to have chosen the Nomad. And re the chainring, SJS were brilliant, getting it out to me in no time. Never did I think that I'd be so glad to fit a chainring on a bike! Good job on keeping down the load, when I toured on my Nomad I had a lot more stuff on it than you have on yours. When I built up my Nomad I decided to buy two chainrings, one sized for around home use on an unladen bike. The other chainring was sized for steep hills with a heavy load. The bigger ring needs four more chain links, including the second quick link. And I congratulate you on having fenders (mudguards). When I toured with my Nomad, I could not get my fenders into the S&S case, thus left the fenders at home. Fabulous blog with some great photographs Thanks for sharing. What was your Nomads weight, fully laden? I've got full camping and cooking kit with me, along with probably too many spares, given the bike's performance to date. I don't have much spare room in the panniers though. I'm expecting to camp a lot in Patagonia, so will have to strap stuff on the back to make room for food and additional water (also have a water bag with me). You were wise on the chainrings. 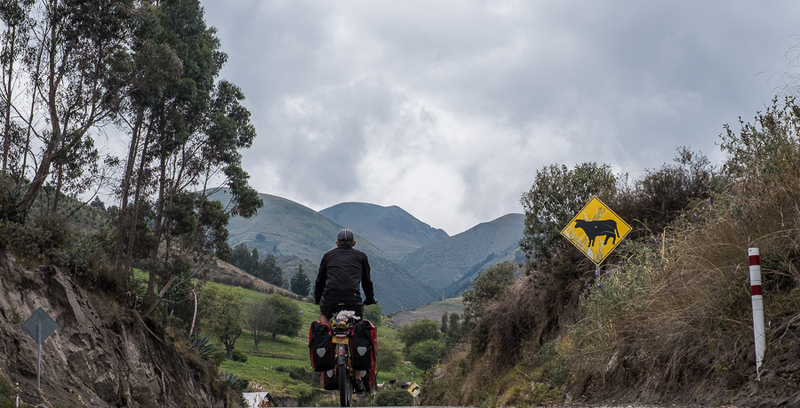 Whilst I'm a lifelong cyclist, this is my first foray into long distance touring, so didn't have sufficient experience to realise how different my test rides in the South of England would be to slogging it up the Cordilleras. Literally a steep learning curve! Thank you! I enjoy writing the blog - it's a good way to reflect on the experiences, and a good way to use some of the photos for something! 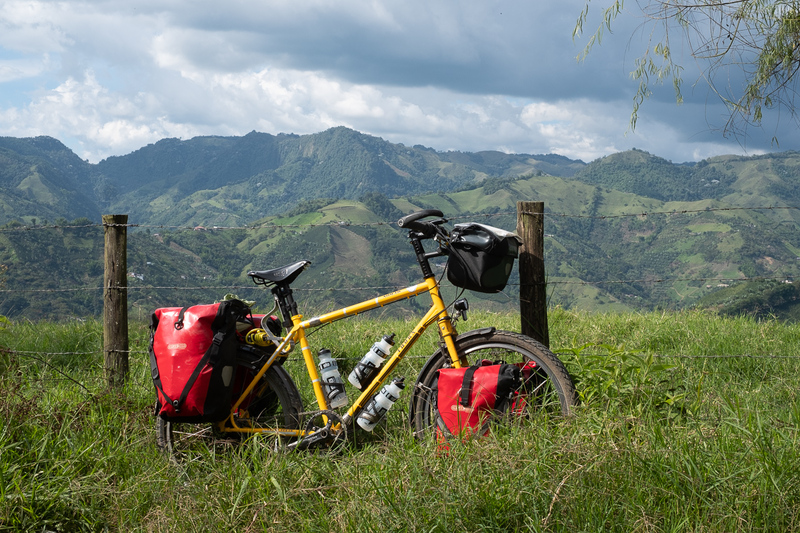 Sadly, no matter how I try, there's no way of conveying how amazing it is in Colombia - both the country and the people. It really is a cyclists' paradise in every sense. Total weight is somewhere around 42 kgs - 17kgs of Nomad and around 25kgs of luggage. I can probably still shed some of the 'normal' clothes that I'm carrying, but the rest is pretty much down to a minimum that I'd feel comfortable with. Thank you for posting, fond memories of Colombia, now over twenty years ago. Is there the usual kit list on your blog? What chain ring are you now using, or what gain-inches in the lowest gear ? An old school buddy and I (both sixty plus) are hoping to do Cartagena - Ushuaia, although still a long way from happening. Wow, 20 years ago that would have been quite the experience. Can't imagine there were many other foreigners there at that time. It's not exactly overrun with them now, but they're not a rare sight in the larger towns. I'm on a Rohloff, and now using a 36 x 17 set up. My original (which seemed fine when I tested it in the UK with panniers) was a 45 on the front. Of course changing to a 36 has made a huge difference, and I no longer cry when I see a steep ascent ahead! I haven't got round to doing the kit list on the blog yet (along with a few other things). Happy to answer any questions of course. Camping-wise I've got a Hilleberg Anjan2 tent (super light), Thermarest Venture mat, and Vango Venom 400 sleeping bag. Standard trangia to cook. The only night I've camped so far (hostels in Colombia and Ecuador have been cheap and plentiful), it was super cold outside, but no issues. I'm expecting to camp a lot in Atacama and Patagonia. Get planning that tour - that would be some ride!